From its humble beginnings as a tiny, volunteer run community store in the Slocan Valley, Kootenay Co-op has grown into one of North America’s most successful and entrepreneurial co-ops. This growth has resulted in Nelson Commons, one of Nelson’s largest downtown developments in it’s history. 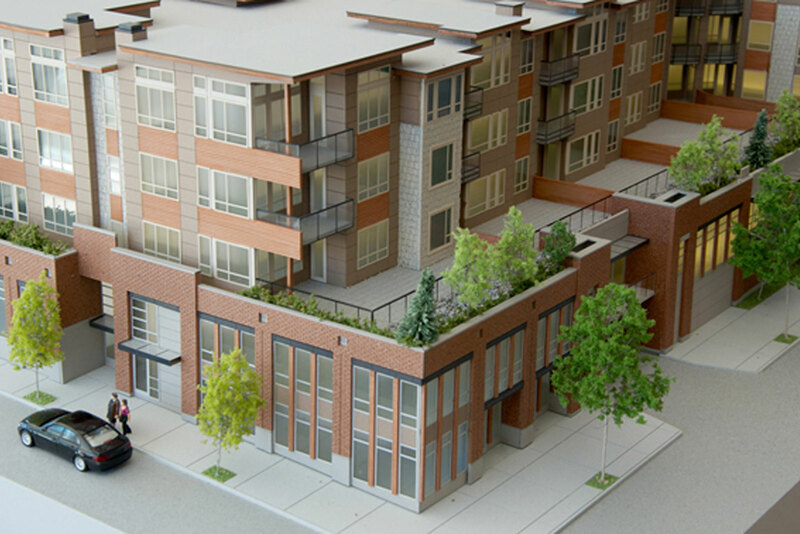 This mixed use, four-storey building includes three floors of residential suites, street level commercial retail spaces, and an anchor tenant and project developer, the Kootenay Co-op. Ray Letkeman Architects was chosen by the Nelson Commons team to design the project while Studio 9 Architecture + Planning provided construction administration services for this $27 million project. In addition to construction administration on Nelson Commons, Studio 9 worked with the Kootenay Co-op management and development team from project genesis to develop as-built drawings of the pre-existing grocery store (Extra Foods), provide assistance throughout the permitting and initial development phase, and liaise with all the local authorities and regulatory agencies. Studio 9 was also the prime consultant for the new Kootenay Coop store.